Welcome to Nissa's String Studio! Thank you for visiting our web site. 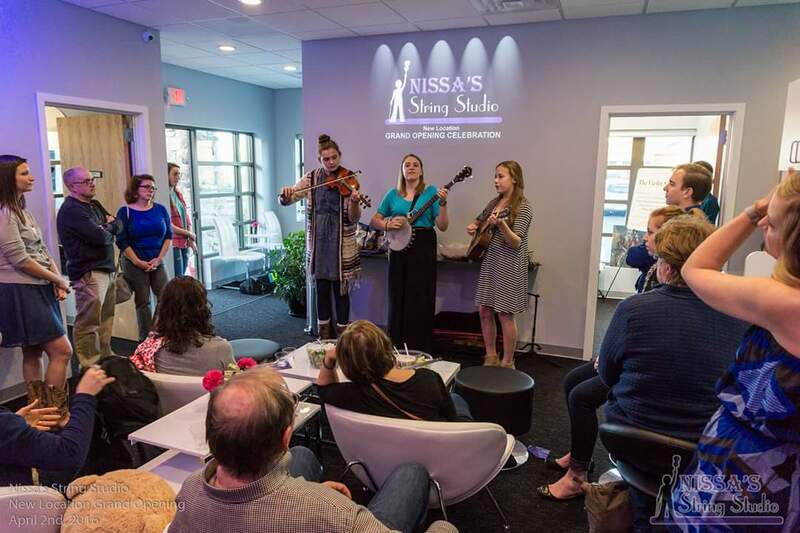 Established in 2003, Nissa's String Studio offers string lessons in the Lincoln, NE area. The studio currently has six instructors and over one hundred students. 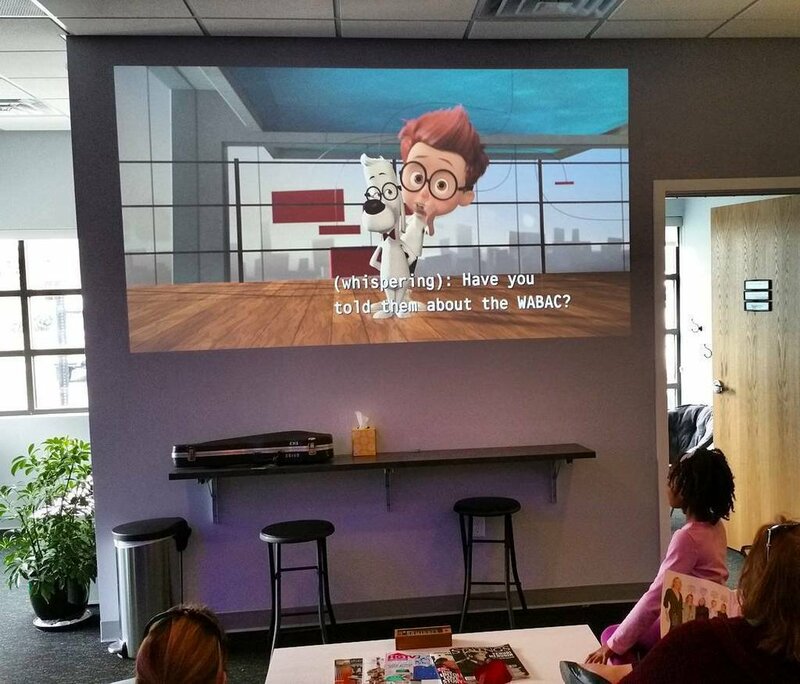 Click HERE to read more about our studio. 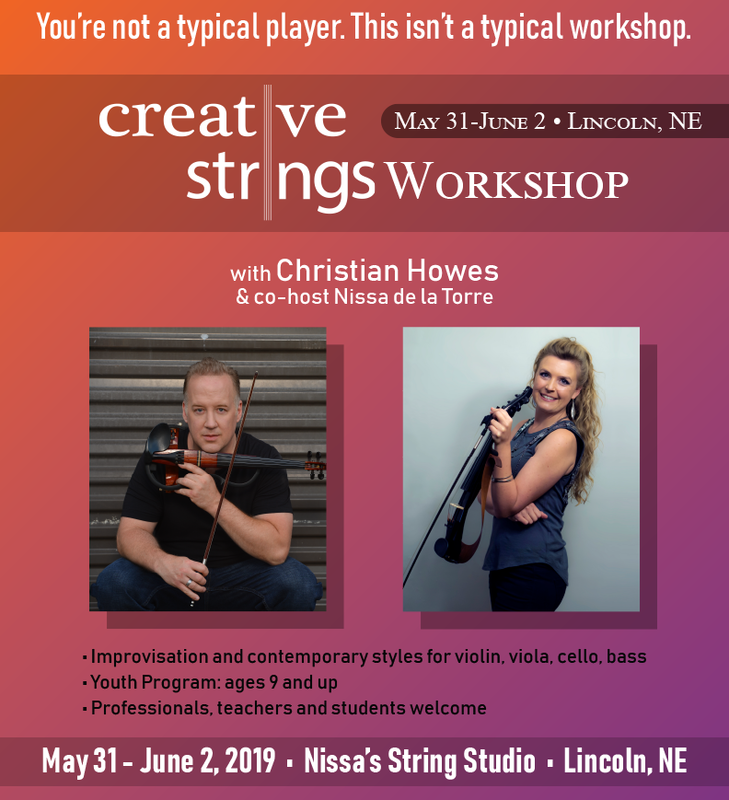 Each year, the Nebraska Unit of the American String Teachers Association recognizes two outstanding string/orchestra teachers in Nebraska by presenting an award to one school orchestra director and one private studio teacher. Nissa was the recipient of this year's "Private Teacher of the Year" award. Congratulations, Nissa! 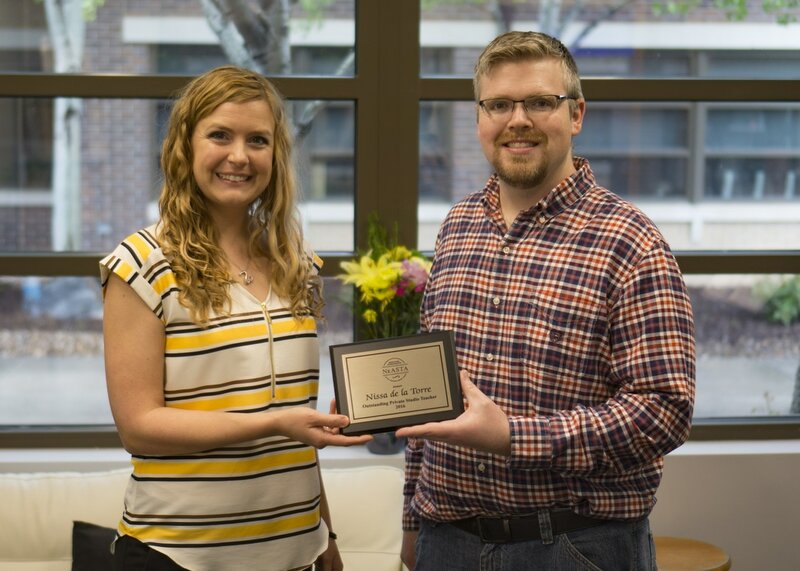 Nissa receives "Private Teacher of the Year" award from Chris Smith, president of NE ASTA. Students may begin lessons at any point in the year. Please call us at (402) 440-1473 or email us at info@stringstudio.com to enroll. "Nissa has a way of getting to know each student." 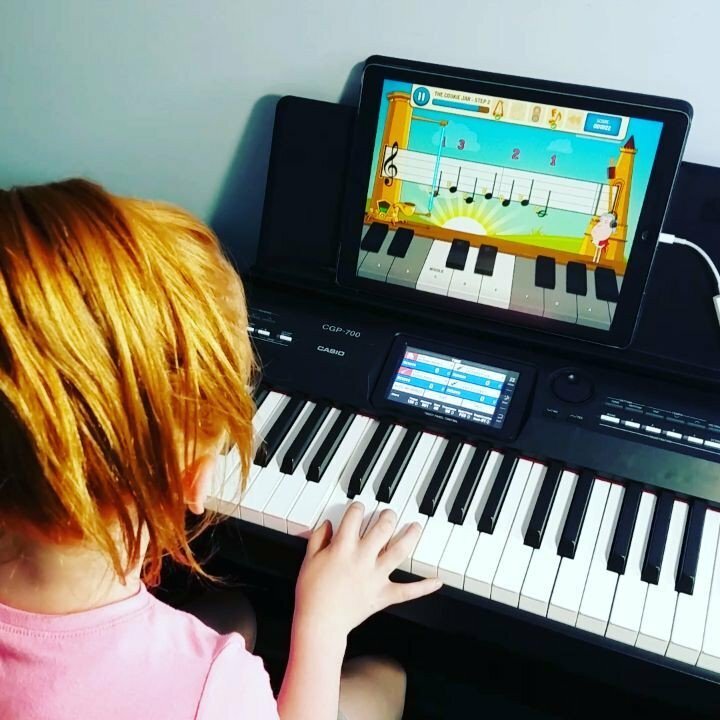 "They ENJOY their instructor, they ENJOY going to piano, they ENJOY PRACTICING." "Nissa is so good at reading her students and their preferences for music."